Technology has been a big part of my life for as long as I can remember. Computers and the internet specifically have made a huge impact on my career and the time leading up to it. In this post, I'll be including some really old photoshop designs that I did back in the day along with some screen shots of old games from the early 2000's. Hang tight. Let's take a walk down memory lane, shall we? From the second I could comprehend what it meant to be online and get my hands on a mouse and a keyboard, I was fascinated. As early as I can remember (late 90's and early 2000's), I was watching my mom use our computer that had windows XP on it. I recall the tone of dial up, and the "you've got mail" sound coming loudly from our computer speakers as she logged onto her AOL account. When I was about 4, I started playing computer games. 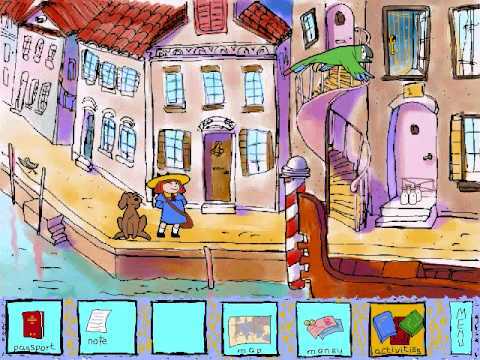 Some were learning games like Jumpstart but there were others that I remember like Madeline's European Adventures that virtually took you all around the world with one single character. This peaked my curiosity, and I was drawn in from the beginning. Eventually, my parents even let me get my own aol account, and then the real fun began. I probably changed my email name 50 times, while also using every embarrassing word combination for an email that you could think of. However, I logged onto it to play even more games, chat with my friends on my AOL buddy list, and send emails to my relatives that were located out of town. I remember playing games on websites like Disney Channel and Nickelodeon. I loved Avatar the Last Air Bender’s Fortress Fight game and Lizzie Mcguire's wardrobe game. Regardless, I was always in tune with the experience of these games, even as a young kid. 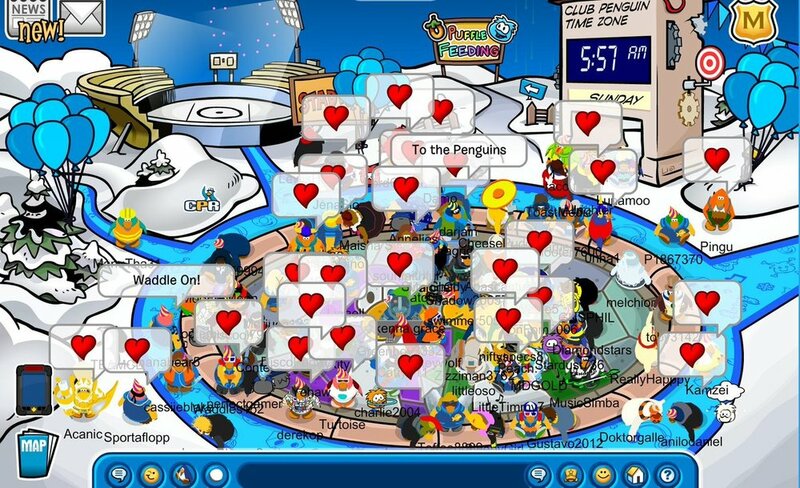 It always amazed me how easy it was to connect with others on the internet, even through something as simple as a chat room. I remember when I got my first computer, it was basically a dinosaur. I was allowed to have it in my room, which was pretty much the best gift any pre teen could ask for, right? Most people can say that their mom or dad gave them their first bike or guitar. Well, my parents gave me my first computer. Little did I know at the time, this would open the door to a passion that I couldn't ignore. I spent countless nights chatting with my friends and surfing the web until the sun rose. 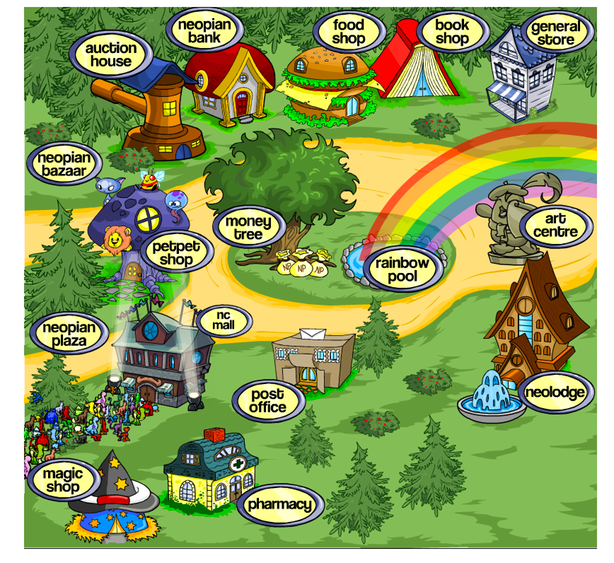 I even hung out on platforms like Neopets and Club Penguin... Ah those were the days. Eventually I had upgraded from a dinosaur desktop and was given my dad’s old laptop. That’s when I feel that my journey truly began. It felt more personalized and I could take it anywhere. Things were changing so quickly on the internet and I was eager to learn what more you could do. I remember that when I got my laptop, Windows Vista had just come out and it changed the game, as glitchy as it was. As time went on, my mom and I started an online forum for Grey’s Anatomy, and then eventually we created a few of them for shows we loved like Private Practice, Desperate Housewives and any new show that we loved, really. Yeah, those shows were the bomb, okay! I even got my first photoshop program, Corel Paint Shop Pro XI. At that moment, my journey into design truly began. We spent countless days creating new skins and graphics for our forum and tried to gain traffic to interact with other fans... what a time. Early Photoshop design I did in 2007 (the beginning of learning Corel PS Pro XI). Eventually, Myspace had appeared on the internet and I begged my mom if I could have one, she said yes, but only if I added her as a friend (PS, my mom would totally be on my top 8 friends now, guys). I remember how amazing it felt to design your page, adding graphics, a song, headers and a layout theme to top it all off. For me, it was really the beginning of true customization on a social media platform and is different than anything I’ve ever come across today. If it weren’t for myspace, I don’t even know if I’d be typing this right now on a blog. It truly changed my life. I began to notice Myspace layout websites popping up all over. 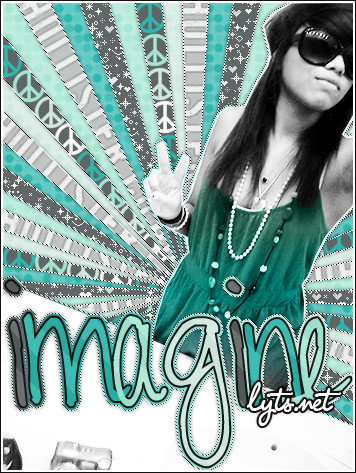 At the time, a friend of mine from middle school had shown me how to make myspace layouts. Instantly, I found myself dabbling and playing in the code for layouts and eventually started making my own. One of the first website layouts I did in 2008 (lol). I met so many wonderful people along the way, and became close friends with them. I used to stay up all night to work on my website while having the best conversations via AIM with my myspace friends from all over the world. I learned so much, and eventually was managing my own website while making revenue from the ads on the website. I had a decent following and even co owned a few sites with friends as well. After awhile, a friend of mine started teaching me Adobe photoshop CS2 & 3 and I got better at making what we called “signs” which was just model photos with cool backgrounds on them that had a title font outlined in cool strokes and such. It was such a fun time, and ultimately placed the stepping stones on the path that lead me to what I do now in my career as a graphic designer. A Loveshade "sign". My first myspace layout site name. A Imagine "sign". One of my last myspace layout site names. Sadly, Myspace went downhill as other platforms started to show up. So after a few years of taking a break in design, I went onto a vocational school for my last two years of high school and took Graphic Communications. That program led me to my first in-house design job. After I graduated high school, I went to the Cleveland Institute of Art to complete my BFA in Graphic Design. Now as a recent grad, I'm a freelance graphic designer living my daydreams. Technology has played such an important and crucial role in my life. I was really lucky in the sense that I found my path very young, but to be honestly, I had no idea that it would lead me to where I am now with a career in graphic design. I think it's important to follow that intuition, especially when you're young. As rocky as this journey has been, I feel like I always kind of knew I was heading down this path, and my gut lead me here. I've never felt more like I am right where I'm supposed to be. Everyone starts somewhere, so as you're probably still laughing from my early designs from back in the day, try not to be ashamed of those starting points. They show growth and progress, and I think that is one of the most important things we can conquer as people. What is a starting point that you never thought would take you to where you are now? Leave a comment below.